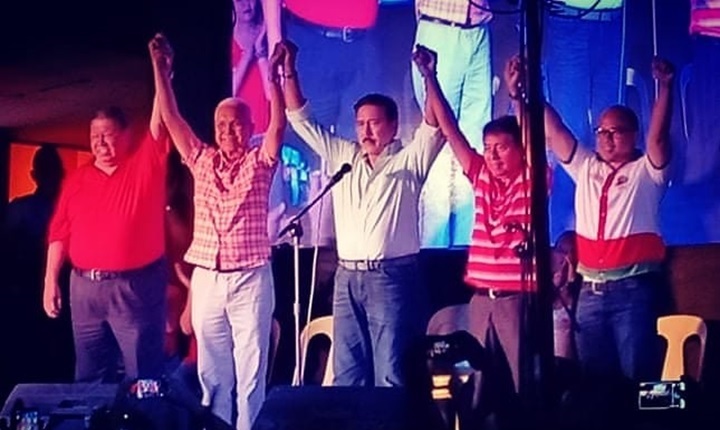 Senate President Vicente Sotto III, acting chair of the Nationalist People’s Coalition (NPC), proclaimed Tinuod Bol-anon gubernatorial bet Leoncio Evasco Jr. and his running mate Tommy Abapo, Jr. as the party’s official candidates in Bohol. The proclamation rally held at the City Square in Tagbilaran City on Saturday night kicked off Evasco’s campaign trail for the gubernatorial seat, a day after the official start of the 45-day campaign period ahead of the May 13 polls. Evasco and Abapo are running under the NPC which is allied with the Hugpong ng Pagbabago (HnP) regional party headed by presidential daughter and Davao City Mayor Sara Duterte-Carpio. Earlier, President Rodrigo Duterte asked Boholanos to help Evasco, his former Cabinet secretary, in winning the gubernatorial poll. Duterte made the call for support in his birthday greeting for Evasco who celebrated his birthday on March 29, a day after the President’s birthday. “De-prinsipyo ug kugihan nga tawo. Inyong umaabot nga gobernador sa Bohol. Tabangi ninyo siya,” Duterte said of Evasco who he has worked with since 1988. Evasco has long been an ally of Duterte, starting way back when the latter was still starting out as mayor of Davao City. He was Duterte’s national campaign manager in the successful presidential bid in 2016. In response, Evasco thanked the President as well as supporters of his gubernatorial bid. “Nasinati ug nabati nako ang kinasingkasing nga pagsuporta ug paghangop sa katawhan sa mga tapok-tapok alang sa tinuod nga Bol-anon,” he said. Evasco and Abapo are running with the help of the Alyansa sa mga Bol-anon alang sa Kausaban.